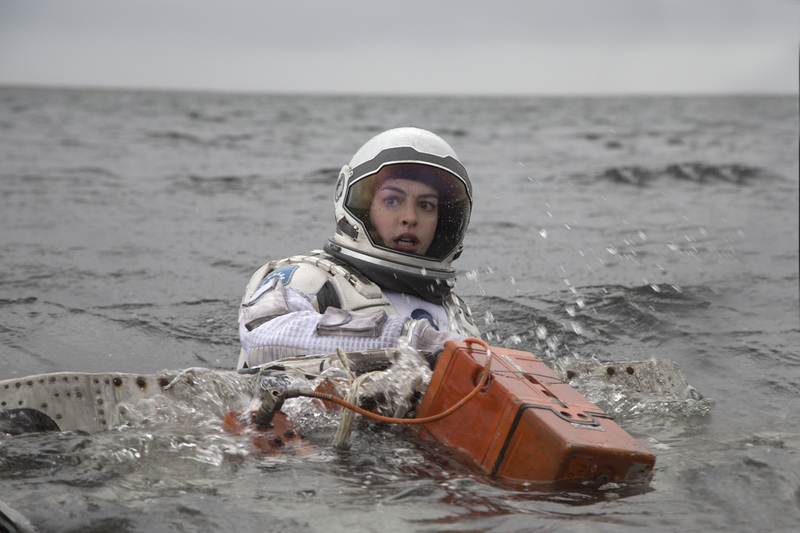 This article is a review of INTERSTELLAR. When the most arresting element of your movie is a supporting robot, things might have gone slightly wrong. See also Steven Spielberg's A.I. ARTIFICIAL INTELLIGENCE - Teddy ingrains in the mind compared to its surroundings. And funnily enough, a cool automaton is not the only similarity: An emotional beseeching on behalf of the filmmakers that does not deliver. Unfair, may be the cry on behalf of A.I., as a youngster it moved me, but one has never felt an urge to revisit says much. 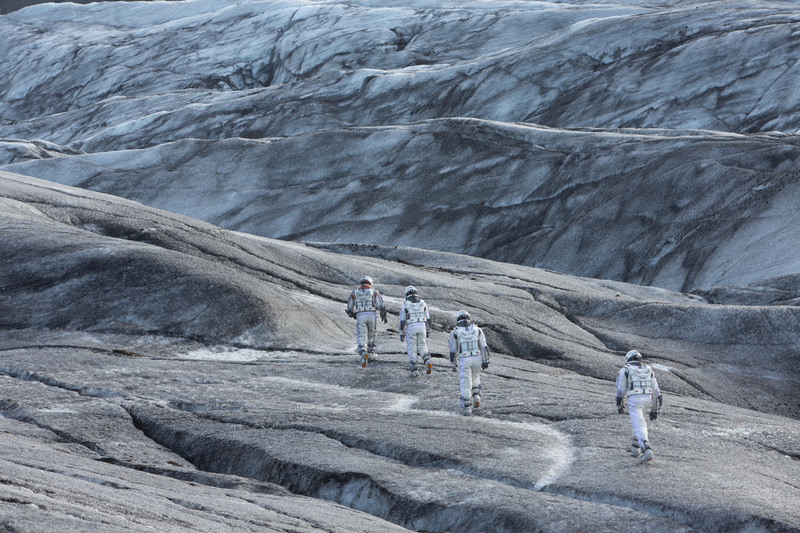 Director Christopher Nolan has not previously been a sucker for sentimentality. Ardent austerity has been welcome among the slew of blockbuster dross. Then what gives? 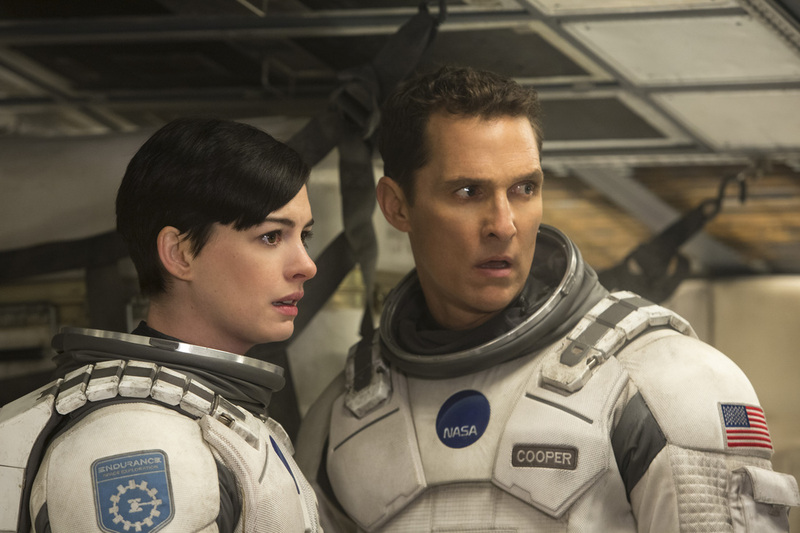 INTERSTELLAR feels made for an insipid audience member/awards voter. SILENT RUNNING, the landmark 1972 science-fiction flick set on a space station trying to regrow Earth's vegetation, comes to mind in an unspecified future where Matthew McConaughey's Coop is a dying breed of Renaissance man - pilot, engineer, scientist, farmer - raising his teenage son, Thomas, and 10-year old daughter Murph with the help of his dead wife's father Donald (John Lithgow). Earth is also dying, literally, few other jobs exist but farming to feed a starving population. As Donald states, "They say it’s the last crop of okra. Ever." Environmental blockbusters exist in the form THE DAY AFTER TOMORROW, but ideological probing is not something director Roland Emmerich seems interested in. 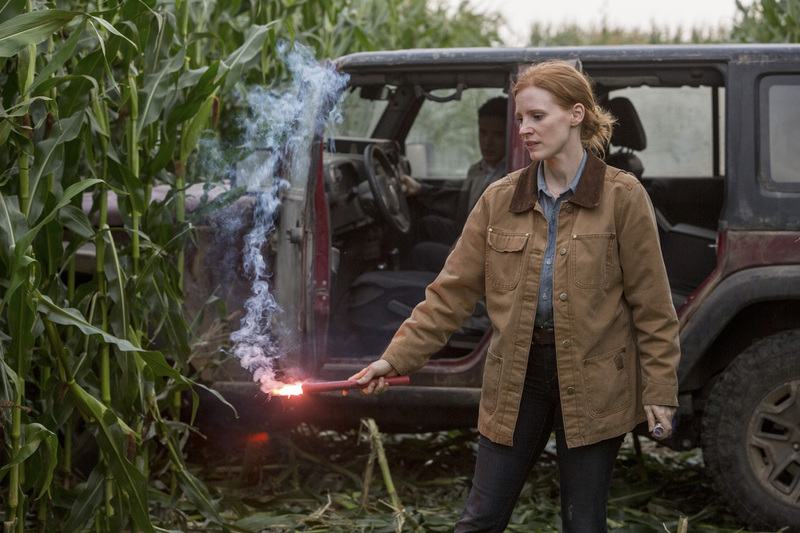 Well, at first Nolan appears to be a safe pair of hands shining a light. Dust storms and dour conversations do not give way to computer effects carnage; instead, unfortunately, mawkish dross sets in an hour from the denouement and strengthens its grip. Coop's inquiring mind is at odds with those around him, even his family (bar chip off the ol' block Murph - named after Murphy's Law: Where anything that can happen will happen.) 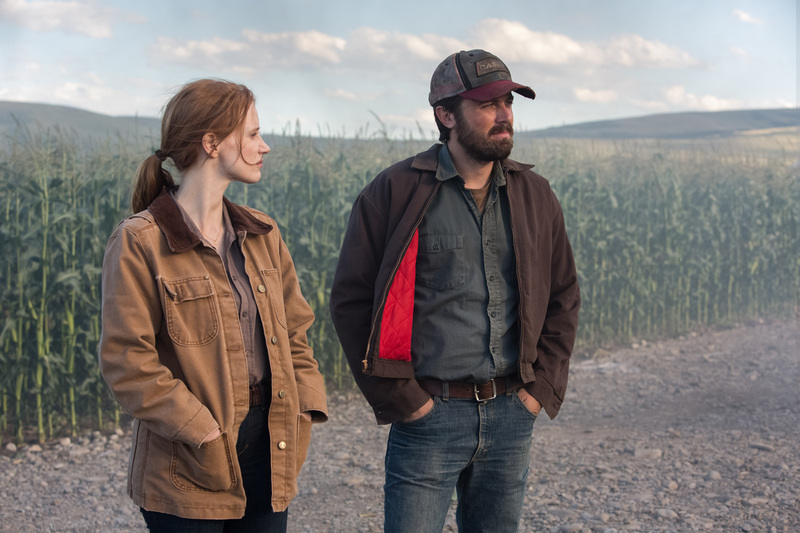 Ahead of his time is a character trait of McConaughey's recent output - see also his Rust Cohle in the exhilarating TRUE DETECTIVE. Optimistic that humanity will somehow be able to regroup is a mind swimming against a population treading water, collective heads in the sand. Such a view of fellow mankind has been concurrent not only in Nolan's oeuvre, but also in the work of Stanley Kubrick and David Fincher. Jettisoning a head-shaking view of crowd dull-wittedness, in favour of lines like “Love is the one thing that transcends time and space”, is a cop-out. Murph's bedroom suddenly contains a gravitational anomaly. Such a convenient, localised phenomenon bodes badly. In Nolan we trust, I hoped to myself. Dust particles lay in lines Coop determines are coordinates. Lo and behold they lead to a secret N.A.S.A. base containing Michael Caine's physicist Professor Brand and daughter Dr Amelia (Anne Hathaway). Plot elucidation comes densely and succinctly - the world is in fact being written off. Luckily there's a plan A and a plan B. Come the incoherent climax, a plan C or D would have been welcome. 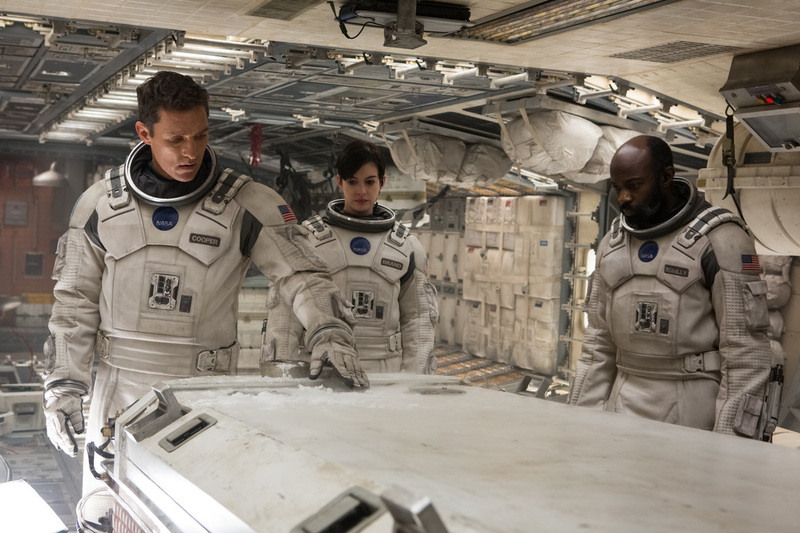 By the by, has GRAVITY ruined future space flicks for the short-term? 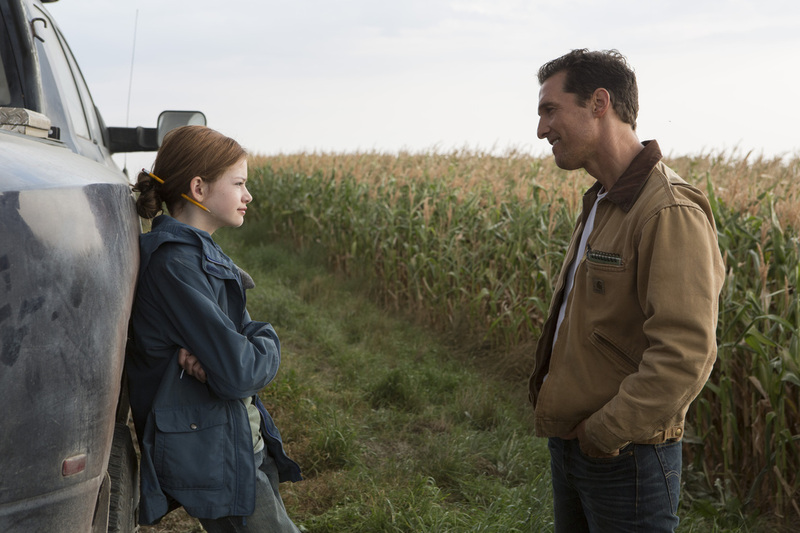 INTERSTELLAR noticeably lacked standout imagery. THE ROAD meets CONTACT, and not in a satisfying way.